The transition from youth to adulthood can be challenging, especially if you happen to have cerebral palsy (CP). Where am I going to live? What kind of assistance is available? There’s a lot to think about, but many go on and thrive as independent adults. Joakim Løberg is intimately familiar with the aforementioned journey, and has been kind enough to share his experiences with us. Joakim is a 29-year old, light-hearted fellow who is actively participating in working life. 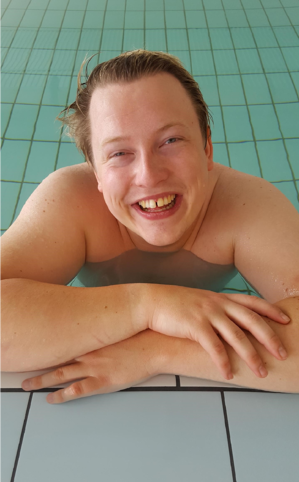 A resource person to others with CP, Joakim does volunteer work for the Norwegian CP union. 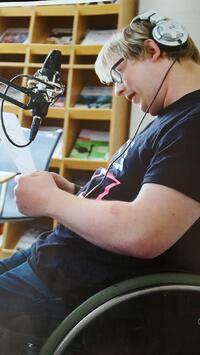 Among other engagements there, he helps run the podcast C-Podden – a podcast by and for youths with CP. 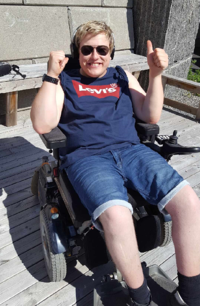 We met with Joakim and talked to him about transitioning from youth to adulthood with CP, and what insights he might have for others in a similar situation. Joakim greets us welcome in his accessibility-modified apartment, half of a semi-detached house. He stumbled over it while it was still on the drawing board, which meant he got to have a say on the layout – both inhouse and for the access to the house. Location was another important consideration; he aimed for as much day-to-day independence as possible. For someone with CP, that means having a short commute to the workplace and shops close nearby. What do you perceive to be the greatest challenges, transitioning from youth to adulthood? Probably becoming independent. When you transition, it’s time for your parents to make themselves less available, and for you to learn how to take care of yourself. For me, the transition offered plenty of challenges, but I was always aware of my desire to handle life on my own. Having that as a shared goal with my parents was very helpful. I decided to spend a year at boarding school (folk high school) when I was 17. It was a steep learning curve, but it was also an important step in the right direction. All of a sudden I was alone, taking care of myself. I spent a fair amount of time on the phone with my mom initially, but as time went by, I realised that independence was something I could master. The folk high school, in many ways, turned out to be a soft way of transitioning away from home; I had to take care of myself, but within a defined framework. It taught me a great deal about independent decision-making, and I gained valuable insights regarding the reach and boundaries of my own autonomy. I attended two different boarding schools and studied ICT service operations. 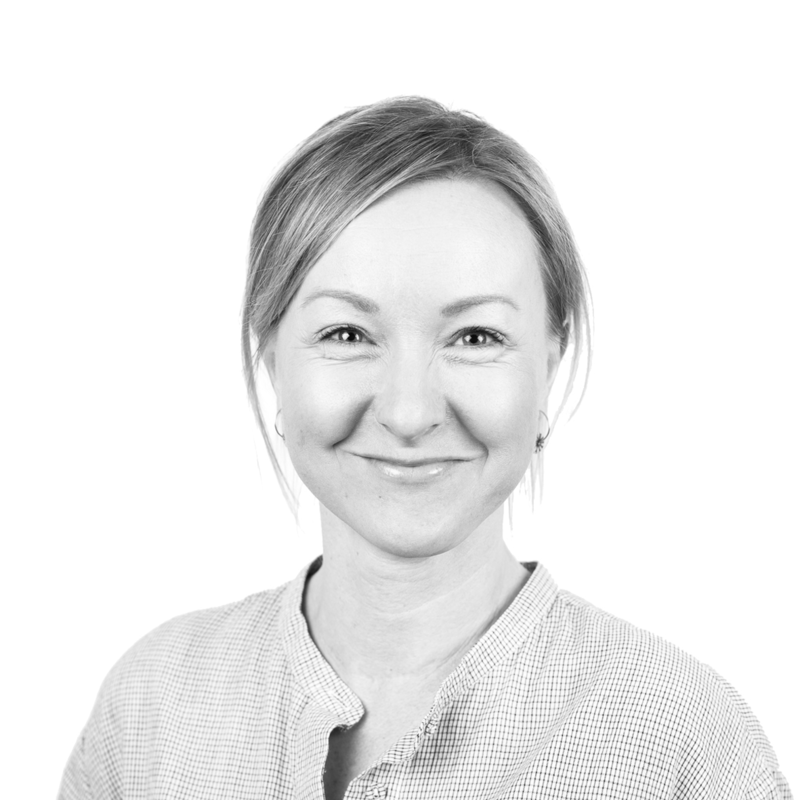 Having gained a trainee position, I moved back to my home town – in my own apartment. The years at boarding school represented yet another transition, and contributed towards shaping me into an independent adult. Any helpful tips for those currently transitioning into adult life? Yes, I think it’s important that you get going early. It’s a process, and basic acquisitions like a home can be time intensive efforts that require a proactive approach. What kind of living space would suit me and my needs? An apartment or shared housing? Furthermore, it’s important to map out how much and what kind of assistance one will be needing. That includes personal assistance as well as for any practical day-to-day matter, like house cleaning and shopping. Help with evaluating community service needs, and related applications, can also be beneficial. Municipal staff, typically occupational– or physiotherapists, assess your needs in terms of aids and home modifications, and help you try out different solutions. I would also recommend being on top of your income, expenses and financial condition in general. What about health – physical and mental – is there anything in particular one should pay attention to while transitioning to adulthood? Health is a broad topic, but it’s clear that children are followed up very closely, not least by their parents. Gradually, as we become adults, we’re required to more actively seek out health services according to our needs. It would probably be more sensible to keep following us up continuously, at least until the age of 25. In terms of health in general, I believe certain things are important: a healthy diet, physical activity and exercise, good social relations, enough sleep and routines. Personally, I regularly see a physiotherapist who I’ve known for many years. Additionally, I love swimming. In the pool I feel more liberated, and I can get a good workout. The social side of it is equally important, as I’m typically in the pool with a pal or my father. I would also like to point out a key necessity within mental health: to prioritise. You have to ask yourself: What’s important to me? For my own part, I wish to be as independent as possible, and I know the same is true for many others with CP. That’s great, but there’s also the risk of burnout. My recommendation for CP patients, youths and adults alike, is to prioritise activities that are important to you, and to know your limits. On a related note, it’s imperative that we speak up if we need more assistance, for instance when it comes to practical matters. It’s not necessary for you to do everything yourself – especially if it happens at the expense of social activities. Facilitating enough sleep is another crucial element. The same goes for your immediate network – it is important to have someone you can open up to. Unspoken worries or rumination can develop into hard-hitting problems over time. Dare to vocalize how you’re feeling.